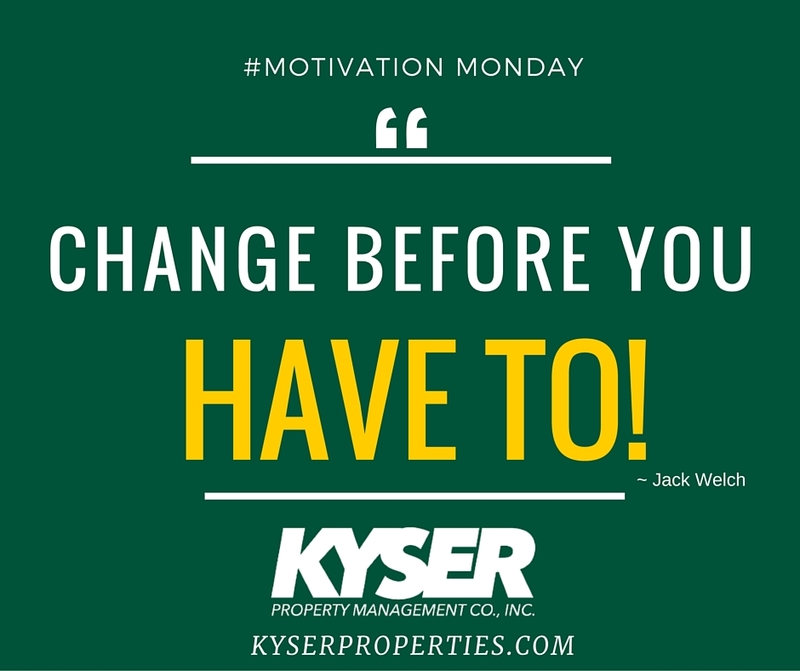 Motivation Monday | Kyser Property Management Co., Inc. It is very possible as you get to know your target market, you may have to change the way you do business. Whether it’s becoming more technologically savvy or moving your business to where your clients are, don’t fear change. Change is the only thing that is constant. On Mondays, we like to give a quick motivational quote to help you start the week. Visit our facebook page: https://www.facebook.com/kyserpropertymanagement/ to get your motivation to strive for excellence every week!